Although Halloween is close and the urge to wear crazy costumes and trick or treat for delicious candies is calling our name, we decided to dress up a little early for an even better cause. 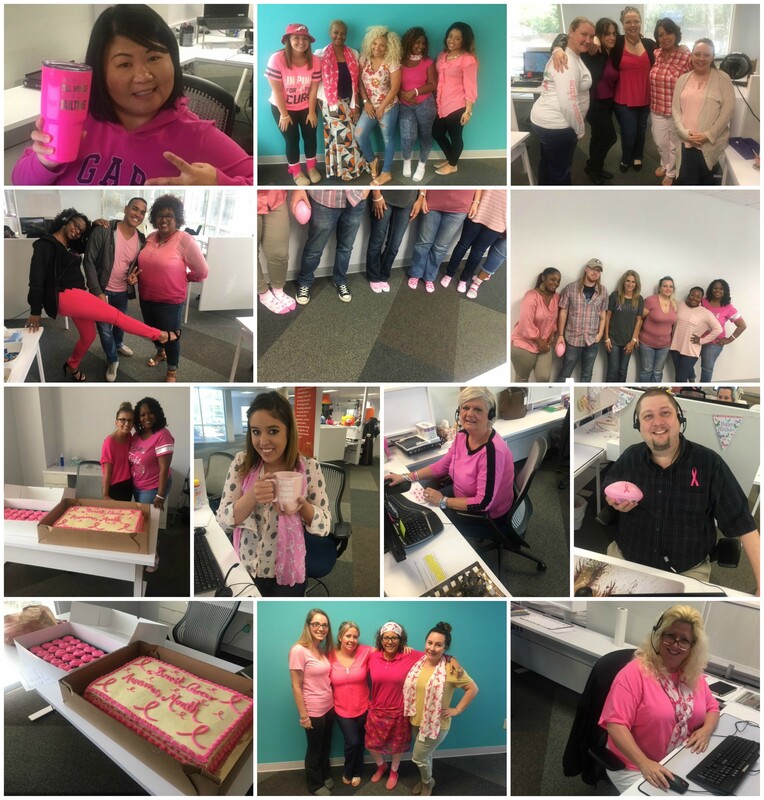 To commemorate October as Breast Cancer Awareness Month, LendingPoint Office staff participated in the “Dress for the Cause Day” October, 20th, 2017. Our outstanding staff wore pink and offered free coffee, tea and baked goodies to anyone who came into the office and supported the pink pride cause. According to the CDC, 236,968 women and 2,141 men in the United States were diagnosed with breast cancer and 41,211 women and 465 men in the United States died from breast cancer. Men get breast cancer, but it is a rarity as approximately 1% of breast cancers occur in men. Most breast cancers are found in women who are 50 years old or older, but breast cancer also affects younger women. LendingPoint is a personal loan provider specializing in NearPrime consumers. Typically, NearPrime consumers are people with credit scores in the 600s. If this is you, we’d love to talk to you about how we might be able to help you meet your financial goals. We offer loans from $3,500 to $20,000 with terms from 24 to 48 months, all with fixed payments and simple interest.